Before stereo sounded the death knell of the mono format in the late 1960s, mono records were made with the intention of being played with a conical stylus measuring one thousandth of an inch, also known as 1 “mil”, at its longest radius. On the other hand, stereo records have always been made for styli with a smaller, more modern 0.7-mil radius. While most collectors today use cartridges with 0.7-mil styli to play vintage mono records, others collectors prefer to play these records as originally intended. Some collectors also find that playing vintage mono LPs with a 1-mil stylus produces superior results. While playing all mono records with a 1-mil stylus may at first seem like a sensible option to collectors looking to explore the possibilities with the older standard, collectors have always assumed that mono records made in the stereo age have narrower grooves than the earliest mono records, the idea being that modern mastering engineers would expect most people to play mono reissues with a stereo cartridge sporting a 0.7-mil stylus. This raises a few questions: When did engineers start cutting mono records with narrower grooves? Is it OK to play vintage mono LPs with a 0.7-mil stylus and modern mono LPs with a 1-mil stylus? Which option sounds better? This article attempts to answer those questions. 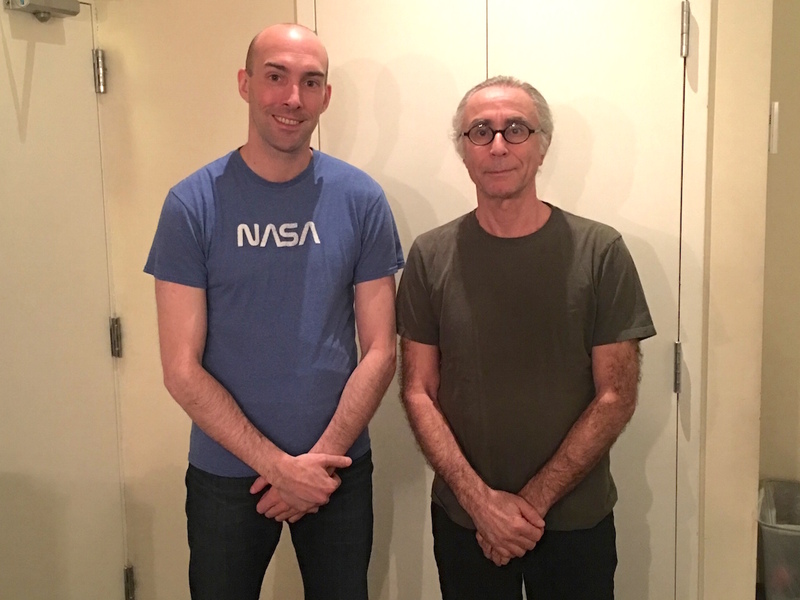 While attending a gathering of the Friends of the Columbia 30th Street Studio at Battery Studios in New York City last year, I met Dominick Costanzo, the senior maintenance engineer at Battery. He had read my article on Blue Note’s transition from mono to stereo on the London Jazz Collector website and we got to talking about the mystery of when mastering engineers began cutting mono records with narrower grooves. It was then that Dominick suggested I come back to the studio sometime to take a look at some of my mono records under a mastering engineer’s microscope. I had the chance to do this recently and am excited to share my findings. To start, I was surprised by how inconsistent the groove widths of all the records were, and there was nothing suggesting a hard switch from one size to another. Dominick helped explain. The groove width an engineer chooses to cut a record with is inherently intertwined with how much space is between the grooves, called the “pitch” a record is cut with. Both wider grooves and greater pitch take up more space on a side. But while greater groove width protects against mistracking and skips, greater pitch improves the signal-to-noise ratio of a record by increasing the overall volume of the music in comparison to surface noise, and when a side is long or has a lot of bass (more bass means higher amplitudes), a mastering engineer has to make choices. So mastering for vinyl is clearly a delicate balancing act of making a quality product that won’t skip or be prone to wear. The inconsistency of the groove widths also makes sense if we take into account that, according to mastering engineer Kevin Gray, there has never been a definitive spec for exactly how wide the grooves on a record should be, only a minimum. He explained that the minimum groove width for stereo LPs is 1 mil, and in this excellent review of the Ortofon CG 25 cartridge, Art Dudley explains that the minimum spec for mono LPs was about 2.15 mils. Looking at a variety of mono records that included 33 1/3 and 45 RPM records cut in all decades, I of course had a special interest in examining jazz records from the ‘50s and ‘60s. 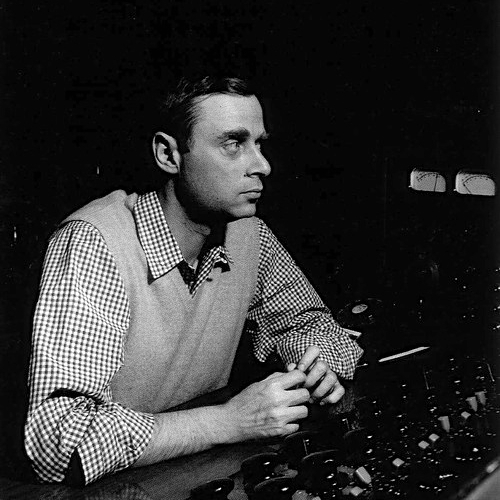 More specifically, there has been a lot of speculation amongst collectors as to if and when Rudy Van Gelder, the mastering engineer whose work is adored by vintage jazz collectors more than any other, may have began cutting mono records with narrower grooves. Although I only had mono records cut by Van Gelder between 1956 and 1964 at my disposal, the widths of those grooves ranged between 3.0 and 3.75 mils for an average of about 3.25 mils. The records I examined included records released by the Blue Note and Prestige labels. Next I took a look at a few mono jazz records released by Riverside, Columbia, and Atlantic between the years of 1958 and 1961. Here I found more consistency, with all the records having grooves measuring about 2.75 mils. It has long been known that Rudy Van Gelder’s LPs are generally “hotter” than others. But while most mastering engineers might sacrifice groove width in order to increase pitch and hence the overall volume of a cut, I was amazed to see how close Van Gelder’s wider grooves got to each other at times without ever crossing. This suggests that Van Gelder made the extra effort to maximize pitch without sacrificing groove width, and once again the legendary engineer has demonstrated a unique aptitude for his trade. I then moved on to more modern mono records mastered from 1972 onward. The suspicion was obviously that these records would have narrower grooves, and sure enough, they were all below or slightly above the original mono microgroove standard, ranging between 1.9 and 2.4 mils. This included mono reissues released by United Artists, Toshiba, Original Jazz Classics, Classic Records, Disk Union, and Music Matters. Being a collector of vintage mono 45s and Beatles LPs as well, I also took a look at some of those. For the Beatles, original Parlophone pressings of Beatles for Sale (1964) and Sgt. Pepper’s Lonely Hearts Club Band (1967) had groove widths of 3.5 and 3.25 respectively, while the groove widths of Capitol pressings of Rubber Soul and Magical Mystery Tour were both around 2.75 mils. As for the mono 45s I brought, all released between 1962-1970, I was surprised to find that their groove widths were much higher, ranging from 3.0 all the way up to 7.0 mils! Costanzo and Gray both explained that this was done to take as much preemptive action as possible in assuring that 45s would not skip in jukeboxes. 1 Mil or 0.7 Mil? It is perfectly safe to play vintage mono records with a 0.7-mil stylus, but should a 1-mil stylus be preferred? In theory, a 1-mil stylus will “hug” the groove of a vintage mono record tighter than a 0.7-mil stylus, and it will sit higher in the groove than a 0.7-mil stylus, as intended. This will in theory allow the stylus tip to avoid noise-inducing debris that may be at the bottom of the groove. On the other hand, a narrower 0.7-mil stylus may in theory avoid wear higher up on the groove walls caused by a 1-mil stylus, though it will be closer to the bottom of the groove. 1-mil stylus options are rare today but can be found with the Ortofon OM (equipped with the optional D25M stylus), Ortofon CG 25 and Miyajima Zero cartridges. But my study didn’t include any mono jazz records mastered between 1965 and 1971, so can those be played with either size stylus? Note that none of the grooves I measured were less than 1.9 mils, vintage or modern, so it would seem that a 1-mil stylus will fit a narrower modern groove, but will the sound be compromised? If you’re dealing with a late ’60s pressing, you may want to compare the sound with both sizes, but the evidence seems to suggest that a record originally released in the mono format was in all likelihood cut according to the old, wider standard. Though my research was certainly not all-inclusive, my findings suggest that mono LPs mastered prior to around 1970 were made with the intention of being played with a 1-mil stylus, while mono LPs cut after mono was no longer a commercially viable format (around 1970) are intended for play with a modern 0.7-mil stylus. I think a good guiding principle would be the following: If the original commercial release of a record was either mono only or included a mono version, any copy made from the original mono mastering metalwork for that album was in all likelihood made to be played with a 1-mil stylus. In light of this, the year 1970 isn’t terribly important and only intended to serve as a rough guideline for when record labels collectively stopped releasing albums in mono. In a perfect world, we all would have both stylus sizes at our disposal so we could choose how to play our vintage mono records on a case-by-case basis. But for many collectors, owning an additional cartridge with a 1-mil stylus is a luxury that cannot be afforded. To those collectors, I say from experience that your current 0.7-mil stylus is sure to track your vintage mono LPs without compromise. And for the die-hard vintage mono collectors out there who use a 1-mil stylus exclusively, you need not worry about playing your vintage mono LPs made in the 1960s with your current option, as they were in all likelihood intended for play with a 1-mil tip. Note on Measurements: One mil is equal to .001 inches or one-thousandth of an inch. The measures of stylus tip radius and groove width are also often given in “microns”, short for micrometer (symbol: μm), where one micron is equal to .001 millimeters or one-millionth of a meter. 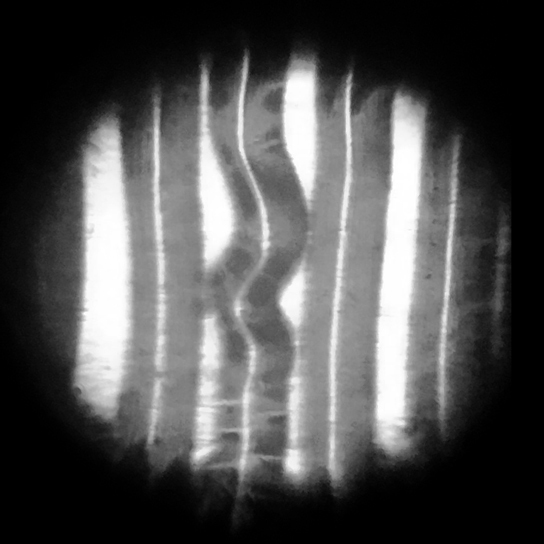 1 mil ≈ 25 μm and 0.7 mils ≈ 18 μm.